Bullseye is a professional assassin and an arch enemy of the hero Daredevil. 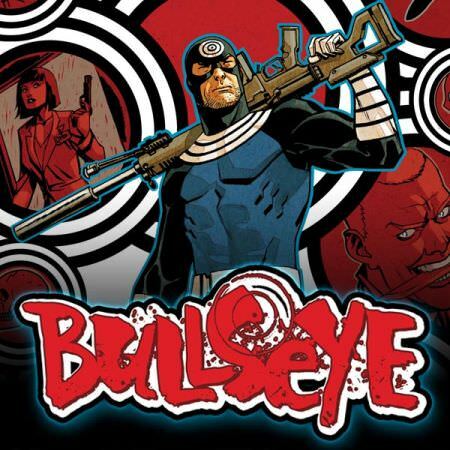 Bullseye has the uncanny ability to throw objects with amazing velocity and accuracy. Though he has no super powers his skill often seems abnormal beyond peak human level accuracy. Bullseye was played by Colin Farrell in the Daredevil movie. Bullseye is expected to appear as a villain in Daredevil Season 3 on Netflix. Bullseye's real name is unknown. He has used the name Dexter Poindexter on occasion. Bullseye was born in a poor home in the Bronx. His father was abusive. Along with his brother Bullseye excels at using a rifle. His accurate rifle ability may have been the only area of his life where he received positive praise from his father. Bullseye's brother attempts to kill their father with a fire and a young Bullseye is placed in foster care. In foster care Bullseye thrived as a pitcher playing baseball. He went to the minor leagues but almost instantly had incident that would alter his life forever. A batter taunts Bullseye and he responds by throwing a baseball at his head, killing him. As the batter dies all Bullseye says is "Bullseye". He is booked on manslaughter charges and sent to prison. Bullseye is quickly pulled out of prison by the NSA. Bullseye begins fighting in a variety of covert ops even training troops in South America. Eventually, he becomes a freelance assassin this brings him into conflict with Daredevil. He has killed numerous important people to Daredevil including Karen Page and Elektra. 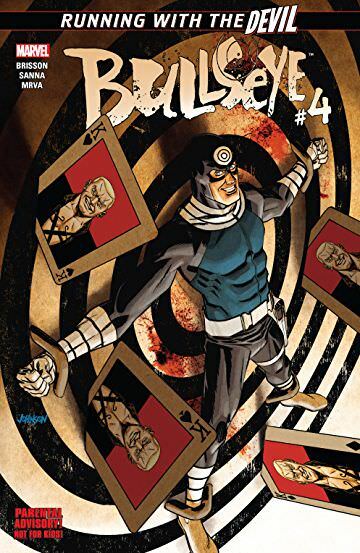 Bullseye has extremely fast reflexes and amazingly uncanny, accuracy. He can turn almost item into a deadly weapon like a playing card, tooth pick, paper clip or even a peanut. Bullseye will likely be a villain in the upcoming Netflix series of Daredevil Season 3. It has been rumored that a SWAT agent who appeared with a card in a pocket in Season 1 was Bullseye however this has never been officially confirmed.